Southern Star is hull n°5 of the successful SW78 mini-series. Thanks to the Reichel Pugh naval architecture, Southern Star boasts slippery hull lines, a fin and bulb keel, a high aspect ratio and balanced rudder. The general concept, the interior layout and exterior styling are drawn by the Italian designers Nauta Design. Hull, deck & structure are in sandwich carbon composite. 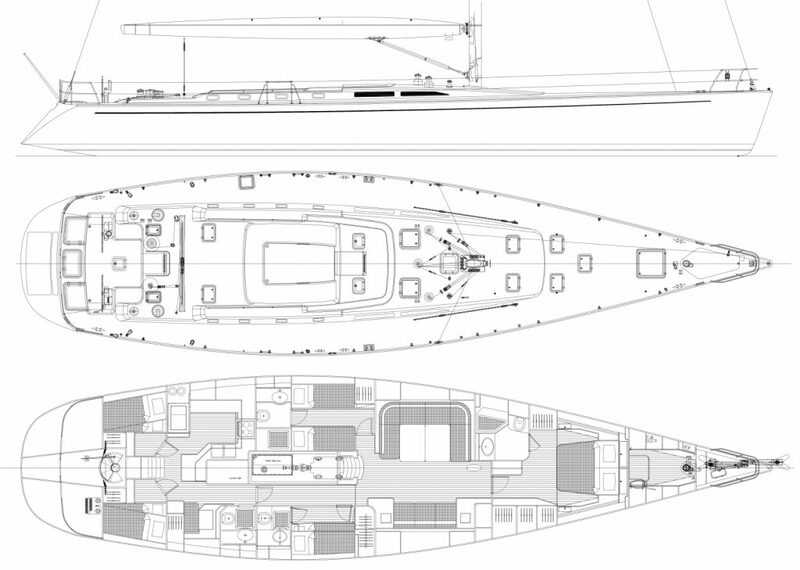 A versatile deck plan incorporates a large guest cockpit protected by a recessed dodger, a generous sunbed area and a separated sailing cockpit with dual steering wheels. Southern Star has an interior configuration ideal for Cruising and for Charter, featuring a separation between the owner/guest area (forward) and the crew mess (aft). The access below deck is gained either through the aft or the guest cockpit companion-ways. The stairway of the latter leads to the saloon which makes use of the full beam of the yacht. This area accommodates an 8/10 dining table, a comfortable conversation area and luxury accessories including a refrigerator, an icemaker and a wine cooler. Southern Star interior layout features a large en suite master cabin forward and two comfortable en suite guest cabins amidships. The furniture is built in sturdy, yet lightweight honeycomb sandwich veneered with natural teak. Crew quarters, accessible through the aft companion-way, feature a functional galley and nav station, which are linked to a pair of crew cabins with shared head forward. The engine room access is conveniently located in the corridor which leads to the crew quarters.